EZ POUR 2400 Candle Pouring System for Candle Making. 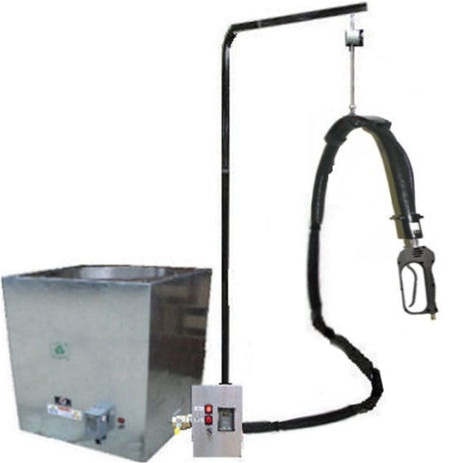 Specially designed Veritcal/Horizontal Ergonomic, Anti-fatigue Lightweight Thermo Gun™ and extenders allow 3-6X flow rate and can be customized for your needs. 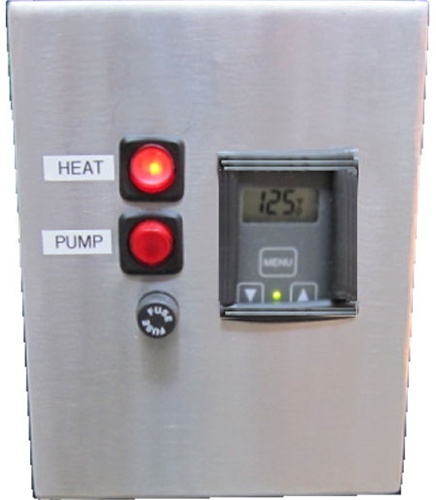 Thermo Pump: New Thermo Pump™ is stainless steel with heated, insulated stainless steel casing has 1" output and is rated at a maximum of 20 gallons per minute. Thermo Hose: Our new Teflon® hose tubing is almost 50% thicker for safer chemical and heat transfer, faster transfer speeds and longer term use. At 120 Watts with self-regulating, high energy efficient coils, our new hoses can heat up more than 2 times faster than our former hoses and use less electricity. Newly designed hose is 8' and triple insulated with a new safety sleeve which makes it lightweight and flexible, yet perfect for SAFE, FAST & Energy Efficient Heating. Our hoses are rated for continuous exposure temperatures of 250° F (121°C), but since our digital controllers limit temperature to a maximum of 212° F (100°C), degrees you have even extra protection and extended life. Hoses are wired with parallel circuit, low watt density electric heating with a conductive polymer core that with our sensors regulate heat output to prevent overheating, hot spots or causing burn outs in response to changes in surface and ambient temperatures. All hoses have a dielectric strength over 2000 volts and have internal stainless steel overbraid for additional mechanical protection and a low resistance path to ground as required by NEC 427-23. Boom: 42" High, 1" X 1" Squared, Polished Chrome Finished 18 Gauge tubing, with 3"X3" Squared welded base for safe mounting with screws (included). Swivel: 24" Long, 1" X 1" Squared, Polished Chrome Finished 18 Gauge tubing with 360° turning radius and sliding hose balancer positioner for increased flexibility. ELECTRICAL: Maximum(*) if on full capacity: 120V/60HZ, 260 Watts, 2.5 Amps. 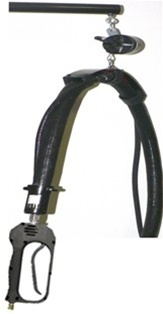 *Hose can heat up to 250° F but temperature keeps it below 212° F/ 100° C at all times.